Our Laser-targeted hits produce signups and sales for you FAST! It's FREE to join so click and choose the number 1 box to get started now. Invest 1 $ Earn 1.55 $ Invest 10 $ Earn 15,5 $ + Free trafic for your website .The best site ever!! You can Save money and Make Money With This Hot new Travel Business. Take a FREE TOUR Now. Discover a Simple Yet Powerfull Way To Drive Almost Unlimited Traffic To Any Site.. Any Offer.. Any Time! FREE: 5 part video course reveals how to get instant traffic to any affiliate offers and be making sales within an hour! What is Steal My Traffic? Steal My Traffic is a way for you to share in the 7 million plus visitors that visit the JAM Marketing Inc. and Sokule Inc. network of sites. What membership levels are available at Steal My Traffic? There are 3 membership levels that you can join at Free, Pro and Expert. Pro level is $97.00. Expert level is $197.00. These are each one time payments. What is the Steal My Traffic Auto Stealer? Steal My Traffic takes the urls for your sites and automatically displays them on the main sales page and all affiliate pages of Steal My Traffic. You do nothing at all to Steal the main spots on the page. You must be a paid (pro or expert) member of SMT in order to have your urls Auto stolen for you. This is the ultimate time saver. Can I join Steal My Traffic free? Yes! You can join SMT FREE and you can display one url FREE by simply logging into your SMT account and reading 3 ads. When someone steals your spot, you will need to log back into your account and steal the spot back again by reading 3 ads. If you want to avoid this, you can always upgrade to a pro or expert account where SMT steals the main spots back for you hundreds of times a day automatically. What does a Pro Member of SMT get? Pro Members get 2 urls with 25:1 ad appearance rotations. Your links are placed in rotation and spots are auto-stolen by the Steal My Traffic system hundreds of times a day. Your ads are seen 25x more often that free member ads. You also also earn 40% commissions on every sale you make at SMT. What Does an Expert Member Get? Pro Members get 5 links with 100:1 ad appearance rotations. Your links are placed in rotation and spots are auto-stolen by the Steal My Traffic system hundreds of times a day. Your ads are seen 100x more often than free member ads and they appear in the top Steal This Spot as well as rotate in the second spot. You also earn 40% commissions on every sale you make at SMT. How long do Steal This Spot Ads display for? They display for 10 seconds at a time or until someone else steals them after 10 seconds has elapsed. We send you a notice when another user has stolen your ads spot so you can log back in and steal the spot back. If you have a really busy schedule and you don't have time to do this you can purchase one of our affordable auto steal packages in the member area. If you are a pro or expert member of SMT, you will not receive these notices as we automatically steal your ad spots for you. Cash Magnet is prime advertising real estate which appears in the upper left hand corner of your affiliate page where it says Feature Ad. This is an ad that will give you huge exposure at the site. As soon as you purchase it, you own that spot forever on your own affiliate page, but that's not all. We also convert this ad to a recommended sites ad and then rotate it on hundreds and hundreds of affiliate pages depending on the number of rotations you choose. Prices start as low as $37.50 for a 5 to 1 rotation and go up to a 1000 to 1 rotation. Simply choose the largest rotation you can afford. Where can I find Cash Magnet? You will find Cash Magnet when you log into the member area of Steal My Traffic. It is the second item in the orange section. What is the Steal My Traffic Mailer? The SMT Mailer is a huge mailer made up of over 500,000 members. You can reach them all at their contact addresses every 2 days or every. The lifetime membership lets you mail to 7500 members at a time every 2 days The annual membership lets you mail to 5000 members every 5 days No waiting for lists to be built This list is huge and waiting for you. You will reach a new audience every time you mail. Where can I find the Steal My Traffic mailer? You will find the SMT Mailer in the member area at the start of the yellow section once you log in. What kind of ads will I see? SMT has been designed to show you ads in your area of interest provided ads in the categories you expressed interest in exist. As a free member you are required to view 3 ads to steal an ad spot. Paid Members do not need to view ads. What commissions do you pay at steal my traffic? Free members earn 20%. Pro Members earn 30% and Expert members earn 40%. Founders earn 50R%. Commissions are paid on Pro and Expert sales as well as on sales of cash magnet and the SMT mailer. Commissions will be paid weekly on Fridays. The first pay run will commence on January 24th. Do I need to be a founder to earn founder commissions? Yes! You must be a founder member to earn commissions on founder member sales. You earn 20% for each founder membership you sell. Will I receive a lot of email from Steal My Traffic? NO! You will receive a daily notice from Admin about the site. You may receive notices when someone signs up under you or when you earn a commission but you can turn those notices off in the members area if you do not wish to receive them. You will also receive a an email notice when your spot has been stolen by another member. You will receive this notice only if you are a free member of SMT. Paid members will not get this notice as we submit automatically for them when their spot is stolen. There are 3 kinds of tracking done at SMT... 1. Targeted tracking which is based on the category you chose when you set your campaign up. User then see sites and ads in the category they chose when they entered their ads. So if they chose real estate then the predominant ads they will see will be real estate links. 2. Hits (views) These are recorded when visitors or members view your ads as they appear in the TV windows on the main site or in the members area. 3. Clicks are recorded when visitors or members actually click on a link to view your website to steal the spot and your webpage appears in a framed countdown window. 4. What we do NOT record is click thrus which is what I think you are seeing with your tracking system and which is someone watching your ad in the frames countdown window and then clicking thru to your actual website to get more info or purchase. If you do any banner advertising or text advertising the click thru rate is usually around 0.5-2% which means you need to have your offers viewed any where between 4000 and 20000 times a day to get 8-10 click thrus. Currently our conversion rate is at least 3-4 times that rate which by industry standards is extremely good. 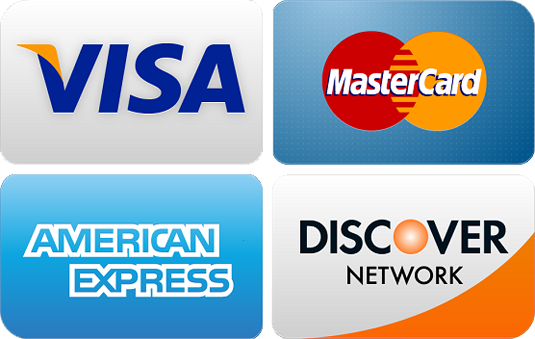 What payment methods do you use to pay commissions? Commissions are paid by Paypal, Solid Trust Pay and by check. There is no minimum payout amount for payment to Paypal or STP. There is a 25.00 minimum to get paid by check and a $2.50 service fee will be charged. How Do I Join Steal My Traffic? I did not get my validation email what do I do now? If you did not use a gmail address to sign up to SMT, you may not receive a validation email. We suggest that you sign up again using a gmail address. We resend validation emails automatically for 7 days but if you are not using a gmail address, you may not receive it.